(Bloomberg) -- Zimbabwe may take as long as five years to reintroduce its own currency because the country needs to address a fiscal imbalance, boost investor confidence and regain access to foreign loans, Central Bank Governor John Mangudya said. The southern African nation has relied mainly on the U.S. dollar since scrapping its own currency in 2009 to halt hyperinflation that saw prices double every day. Newly appointed Finance Minister Mthuli Ncube has said he favors a return of the Zimbabwean dollar. The country’s current economic fundamentals are weak, and the authorities need to ensure that both business and consumer confidence improve, fiscal imbalances that are bringing pressure to bear on the financial-services sector are reduced, and the state is able to raise foreign loans, Mangudya said in an interview Friday with Bloomberg Television in New York. President Emmerson Mnangagwa’s administration, appointed earlier this month, is developing a plan to help stabilize the economy, after almost two decades of mismanagement under former President Robert Mugabe’s autocratic leadership. The country has faced cash shortages for at least the past two years as businesses and individuals moved money offshore and the import bill increased after exports collapsed. The government is engaging foreign creditors on clearing its international debt, he said. Mnangagwa has said his government plans to prioritize the repayment of about $1.8 billion of arrears to lenders to enable the Treasury to borrow again. 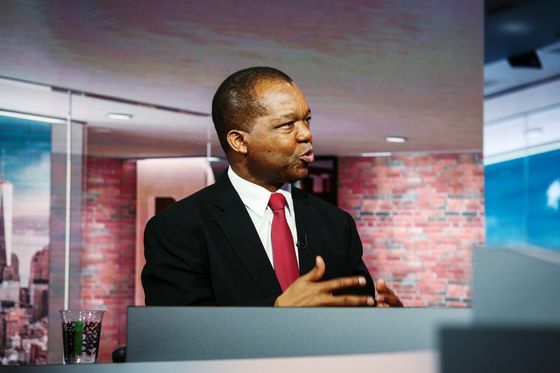 In a separate event in New York on Friday, Mangudya said that he hopes arrears are cleared by September 2019. The government will also seek to enter an staff-monitor program with the International Monetary Fund in January that should end in June, the Reserve Bank governor said. Zimbabwe’s ruling party is targeting an annual economic growth rate of at least 6 percent over the next five years, attracting $5 billion in foreign direct investment and $10 billion in domestic investment annually. The president has pledged to revive agriculture, mining and manufacturing to accelerate economic growth, which the International Monetary Fund forecasts will be 2.4 percent this year, compared with 3 percent in 2017. The economy will expand 4.5 percent to 6 percent this year and 7 percent or higher next year, Mangudya said. Inflation will be about 3 percent to 7 percent this year, he said. Food output slumped under Mugabe’s rule after the violent seizures of white-owned land in the former British colony. The government plans to modernize, mechanize and industrialize agriculture to ensure the country has food security, and is targeting a surplus of crops including corn and wheat within two years, Mnangagwa said in an interview in New York on Friday.